Dog Psychology is a whole new world in itself, and is quite different from the way we have all learned to see the world around us. Learning about Dog Psychology is the first step to becoming the dog owner that your dog dreams of. It all begins with miscommunication, or intention vs. perception. Humans and dogs speak separate languages. People are extremely verbal, while dogs are extremely nonverbal. 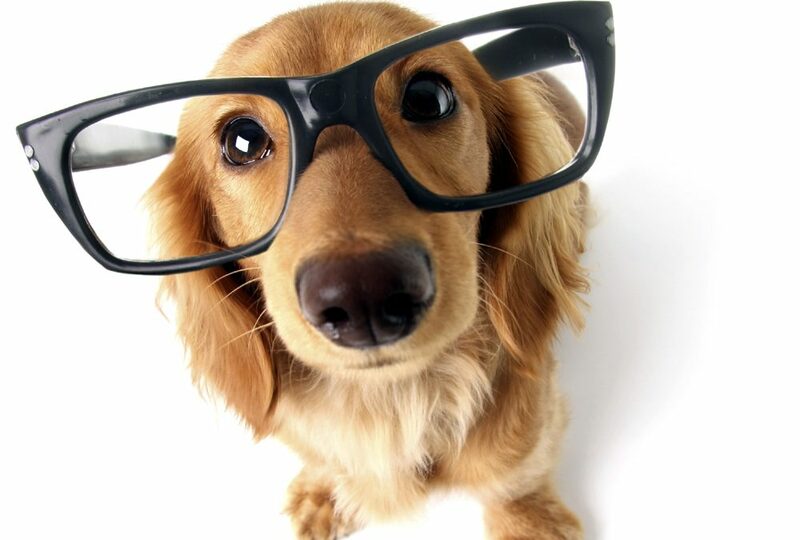 Canine communication consists of eye contact, body language, and reading energy. Have you ever been in the presence of someone that gave you the creeps? You may not have even spoken to them, but you feel something that makes you uncomfortable. That is energy. It is the feeling or vibration that you get from another. Humans gained language and storytelling eons ago and as a result our instincts have become very dull. What instincts we do have are mostly within our subconscious. We feel things quietly, intuitively, then we talk ourselves out of it… yet again using words. Now, let’s discuss the difference between human beings and other animals. For instance, let’s say we have a female with a litter of puppies. One of the pups is not strong and is not doing well. What will the mother do? She will push it aside and ignore it. Weak squirrel in the nest? Out. Weak baby bird? Out. Regardless of the animal, they will not foster weakness. It goes against their DNA. A screaming dog in the dog park becomes an instant target. Why? Weakness. There is nothing wrong with this behavior. It is what it means to be a canine. Humans however, will find that weak little pup and be sure to nurse it. If we find the squirrel or bird on the sidewalk, we are ready with the eye dropper and heating pad to rescue it. This is what makes us human, and we are one of the only species that behaves this way. We can think about the differences; dogs cannot. They can’t become people, but you can learn to be a bit of a dog. The most important law when trying to understand animals, especially canines, is that they love to follow strong and confident personalities. They do not follow marshmallows or super softies, and they also do not follow anything that is interpreted as weak or unstable. For example: Are you anxious when your dog is misbehaving? Do you feel sorry for your dog? Or maybe guilty? These emotions are interpreted by dogs and other animals much differently than people. For most people, this can be a difficult concept to grasp in the beginning, but once you begin to see and understand this it all becomes very clear. So, you must be strong and confident in order to be an effective pack leader to a dog. Therefore we must start with owner: What do you need to work on? Anxiety? Self Esteem? Confidence? Depression? The first thing that we must learn is to become aware of how you are feeling so that we can address any weak areas. Yoga and/or meditation may be prescribed for people suffering from anxiety or anyone having trouble calming down and focusing. Confidence or self-esteem issues? Martial arts such as Krav Maga can be a super boost to one’s confidence. Your dog needs to know that you know how to lead him. They need to know that you are confident in your decisions and that you can handle whatever the world throws at you. My definition of dominance is the art of leadership. Someone has to make the decisions in the relationship… and it should not be the one with the four legs. Your dog needs for you to learn to be a “loving, benevolent dictator”, just like being a great parent to a child. Sensitive and nervous dogs absolutely require you take over for them; you will build an enormous amount of trust with your dog. If you have a dog with a sharp temperament, he needs someone to set limits with him. Soft personalities are more sensitive and engage in direction more easily. Most people I meet are total marshmallows. You should never be harsh, however you should be firm. Once you decide that you are going to require something or engage in an activity, be sure you follow through. But you must first have a vision of what you want in order for you to know where you are going, and you can’t pass what you don’t have. If you want the dogs in your family to respect the children, they must respect you first. 1.Patience. You must sometimes wait for the dog to learn or deflate. Don’t become frustrated. 2.Persistence. You must be willing to never accept no as an option. Be calm but firm and always follow through. It gets easier! 3.Consistence. Providing rituals and maintaining the same rules from everyone in the family and beyond provides security and stability to your dog. We’re very glad we could provide you with some useful information. Thanks for the reply Kelvin! For years I’ve been looking for reaserach/ statements that support my theory, and methods of dog training. In this article you’ve articulated my personal and professional research, thoughts, and findings.. through over 30 years of experience training dogs, Dogs require leadership in order to thrive, and clarity in pack structure is a must. This requires having a firm hand, yet not an abusive hand. Simply put, in a nutshell, “Say what You Mean, Show / Teach the dog what you mean in the most humane way, and Mean What You Say.